The Riverview High School Kiltie Band program is comprised of Symphonic Winds, Wind Ensemble, Varsity Band, Bagpipes, Color Guard and Highland Dance. Anyone regardless of experiences can join the band program at Riverview. Some of the band classes require an audition and some are open to all students. All interested students are asked to meet with one of the directors for more information and requirements. All students enrolled in a band class are required to participate in marching band during football season. The Riverview High School Kiltie Marching Band operates under the direction of Mark Spreen, Director of Bands, and Norm Vagn and Chuck Evans, Associate Directors. The Band consists of 204 musicians, bagpipers, dancers and color guard. The band program at RHS is proud of its performance history and accomplishments. The band has performed in numerous parades including: New York City’s Macy’s Thanksgiving Day Parade, the 1985 Presidential Inaugural Parade; the Pasadena Tournament of Roses Parade; the Hollywood Christmas Parade, St. Patrick’s Day Parade in Dublin Ireland in 1989 and 2009; 70th Anniversary of Pearl Harbor in Hawaii in 2011 and most recently in the 2013 St. Patrick’s Day Parade in New York. The band has traveled to perform in Scotland, Ireland, England, France and Germany. The band is an active community performer and consistently earns superior ratings at Music Performance Assessment. Most notably, the Kiltie Band has earned 55 consecutive Superior Ratings in the Florida Bandmasters Association District Marching MPA. It is expected that all Kilties wear their unifrom at all perfromances the approrpraite way. 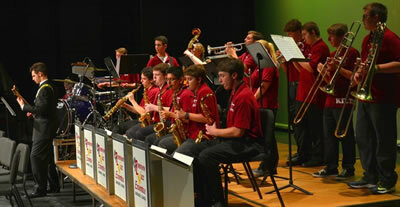 The Jazz Ensemble at Riverview High School is an extra-curricular activity that meets after school. Brass and Saxophone and Drummers must be a member of the Kiltie Band. Guitar, Bass and Piano positions are open to any RHS student. The focus of the ensemble is to learn the art of this American born music. Music from all periods of jazz history will be explored so we can achieve a well-rounded repertoire. Students will learn to improvise, and it’s this knowledge of music theory which makes jazz unique to most other forms of music. The Jazz Ensemble will perform at concerts, jazz festivals and other events as our schedule dictates. Students of all experience levels should plan to get involved. Mr. Spreen received his Bachelors Degree in Music Education from the University of Florida and his Masters of Arts from Grand Canyon University. He has also completed graduate courses at Florida State University and the University of Miami. Mr. Spreen is a Past President of the Florida Bandmasters Association and has served as a member of the Board of Directors for the Florida Music Educators Association. He has also served on the Board for the Florida School Music Association. Mr. Spreen has served as the chairman of the Music Performance Assessment Committee and the Clinics Committee as well as District Secretary and District Chairman for the Florida Bandmasters Association. He is a graduate of Riverview High School and is a former Kiltie. 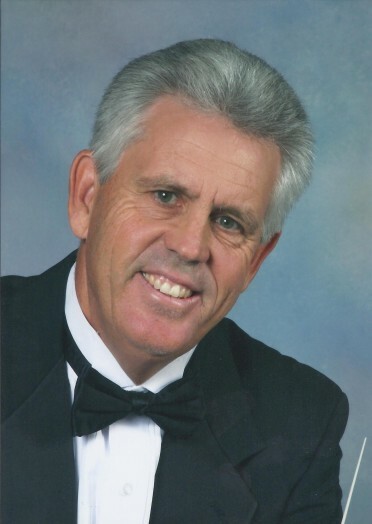 Prior to returning to Sarasota, he directed the Lake Wales, Keystone Heights and Fernandina Beach High School bands. His bands have consistently earned Superior ratings at the FBA festivals and have performed in the St. Patrick’s Day Parade in Dublin, Ireland, the Hollywood Christmas Parade and the National Cherry Blossom Parade, the pre-game and half-time shows at the Sugar Bowl and many other popular events. Mr. Spreen is a member of the Florida Bandmasters Association, Florida Music Educators Association, Music Education National Conference, and Phi Beta Mu. 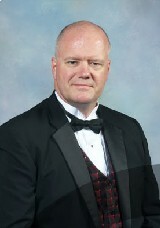 He is currently the Director of Bands and Music Department Chairman at Riverview High. Mr. Vagn received his Bachelors Degree in Music Education from Northern Illinois University in Dekalb, Illinois. He received his Masters Degree in Wind Conducting from the University of Kansas. Mr. Vagn’s first 10 years of teaching experience was in McHenry County, which is an hour west of Chicago. He taught for 5 years at Marengo High School, and for 5 years at Huntley High School. Mr. Vagn is a bass trombonist, piano player, and has had church experience as a keyboardist/vocalist. At Riverview High School Mr. Vagn is the Associate Director of Bands, teaches band, jazz ensemble, orchestra, IB Music and AP Music Theory. Mr. Vagn is the advisor of the RHS Chapter of Tri-M. He is a member of the Florida Music Educators Association, Florida Bandmasters Association, and the Florida Orchestra Association. Mr. Evans began teaching physics at Riverview High School in 1998 and also assumed the role of the Highlander Drum Corps arranger and percussion director. In addition to teaching Instrumental Techniques I - IV, he also teaches AP Physics with calculus and honors physics, serves as the Science Curriculum Coordinator, and creates the school’s master schedule each year. Mr. Evans is a 1995 graduate of Florida State University, where he majored in Math and Interdisciplinary Science Education, minored in English, and received his BS degree. While at Florida State, he served as the percussion arranger and section leader for "Big 8", the Marching Chiefs' drum line, and was a member of the Concert Band, Symphonic Band, and the Tallahassee Winds. 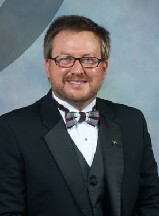 In June of 2003, he received his Masters Degree in Teaching and Learning from Nova Southeastern University and returned to NSU in 2009 to complete coursework for his Educational Leadership certification.. Mr. Evans is also an alumni member and past officer of Kappa Kappa Psi,National Honorary Music Fraternity and is a former member of the Sarasota Pops, and a former member / principal player of the Sarasota Concert Band. He is currently a member of and an adjudicator for the Florida Bandmasters' Association, and a member of the Florida Music Educator's Association. Finally, Mr. Evans was selected as the RHS Teacher of the year in 2003 – 2004, and 2009 – 2010 and was recently honored as the Sarasota County’s 2009 – 2010 District Teacher of the Year. The Riverview High School Kiltie Band Boosters are comprised of band parents and supporters who look to assist with any projects and lend financial assistance to the Band for co-curricular and extracurricular needs. The Boosters also work to promote social and recreational gatherings for members, their families and friends for the cementing of good fellowship and a social cooperative spirit.